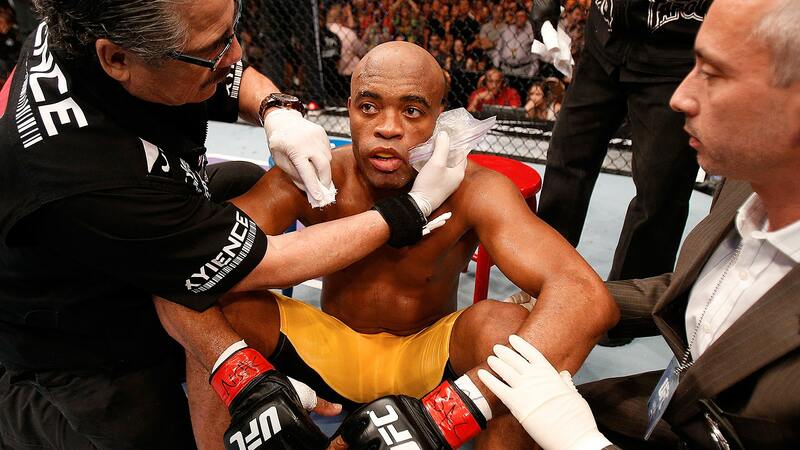 Anderson Silva – after hubris and the fall can his genius return? 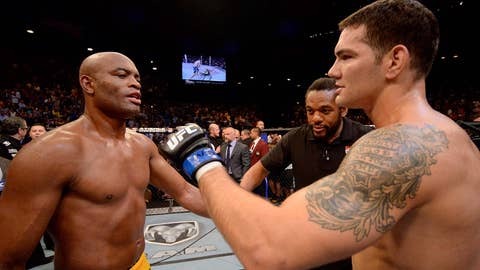 Anderson Silva and Chris Weidman's rematch carries the mark of the classic tragedy. The romantic ideal is that Anderson Silva will return to hero status on Saturday night by dismissing Chris Weidman with the kind of finish which saw Vitor Belfort crumple like a bull felled by a bullet between the eyes. Yet the reality is that an ageing, enigmatic champion returns against a young lion sharpened by a team hellbent on not allowing the greatest counter-striker in history to bring his hubris to the stage. Consider this: Silva’s achievements had already earned him high office in the history of mixed martial arts. In the lead-up to his first encounter with Weidman, Silva was being compared in popularity to the great ‘Pele’, the footballer who entranced the entire Brazilian nation, and played in three World Cup-winning squads. Silva was reaching a crossover stardom and status which only select sportsmen ever reach. We wanted that more than to be champion of the world. That’s really what we wanted. To beat Muhammad Ali. Yet Pele was a stand-out in a team event. Nor did hubris, his pride, form part of his game plan. And we all know what follows hubris: a fall. That was Anderson Silva in the summer. Genius – and Silva is certainly that – always borders madness, and Silva’s stature came tumbling down as he did a ‘faux rumba’ before he was clipped to the canvas by Weidman. It is worth noting Weidman’s comment going into this fight. "I want to finish Anderson Silva to prove to all the doubters that winning the belt was not a fluke." Therein lies the rub. Most still consider Silva ‘the champion’. Psychologically, perhaps even Weidman does. Of course, Weidman is defending the belt. Yet, in reality, he is fighting Anderson Silva. More than retaining the belt, the greater prize is becoming the man who defeated Anderson Silva twice. Bear with me. This reminds me of an interview I did in December 2011 with the great George Foreman, he of ‘The Rumble in The Jungle’, the great heavyweight boxing battle between Muhammad Ali and Foreman in Zaire, in 1974. Foreman was talking to me of Ali, ‘The Greatest’ in boxing. "I remember when I won the heavyweight championship of the world, we didn’t want to be called ‘champion’, what we really wanted was to be ‘the guy who beat Muhammad Ali’," recalled Big George. "We wanted that more than to be champion of the world. That’s really what we wanted. To beat Muhammad Ali." Thirty-six years after fighting Ali, Big George is still chuckling about it. What Weidman did in the summer was akin to the old heavyweights wanting to defeat Ali. Weidman told me last summer, going into the fight, that he had targetted Silva since he took up MMA in 2009. He wanted Silva to be in power when his moment came. But more from Foreman on Ali. It resonates today, and in this scenario. "The truth is - nobody could actually beat Muhammad Ali," Foreman told me. "Even when you did beat him, people said you hadn’t really beaten him, nobody would say that he had lost, and they still wanted to get his autograph, and get the chance to get hugged and kissed by him. Even when you had the belt." Following Silva’s tomfoolery, the aftermath was all about why Silva had thrown it away, rolled the dice, gambled gracelessly. There was even a suggestion that Silva had taken a dive.